This is an absolutely beautiful big checker and board that made of best Teak wood material. 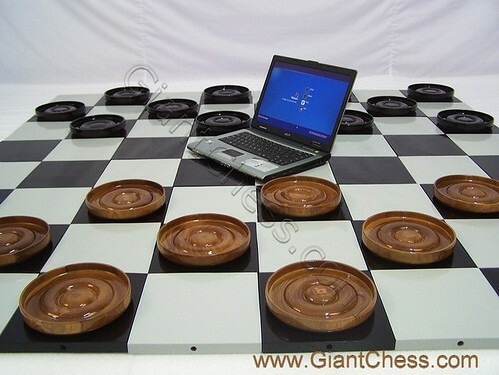 With inlaid checkers pieces on the top of board is certainly something special. The perfect gift for any occassion this checker pieces set is something that has unique value for appreciate. Different size of ordinary checker and board, this checker pieces is designed as big checker and support with its big board. The checker set is perfect for outdoor use.